This example will demonstrate the t-test function for comparing the means of two samples. You will need the incanter.core, incanter.stats, incanter.charts, and incanter.datasets libraries. Now load the plant-growth sample data set. View box-plots of the three groups. 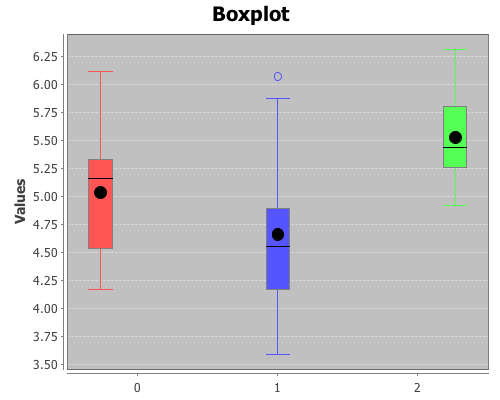 This plot can also be achieved using the :group-by option of the box-plot function. Based on these results the third group (treatment 2) is statistically significantly different from both the first group (control) and the second group (treatment 1). However, treatment 1 is not statistically significantly different than the control group. This entry was posted in Clojure, Incanter, Statistics, t test. Bookmark the permalink. I’m using Incanter.exe from one of your latest posts.